Beside one of my working-at-home locations, there’s an off-white wall over a fireplace. On a sunny day (not too many of them this spring! 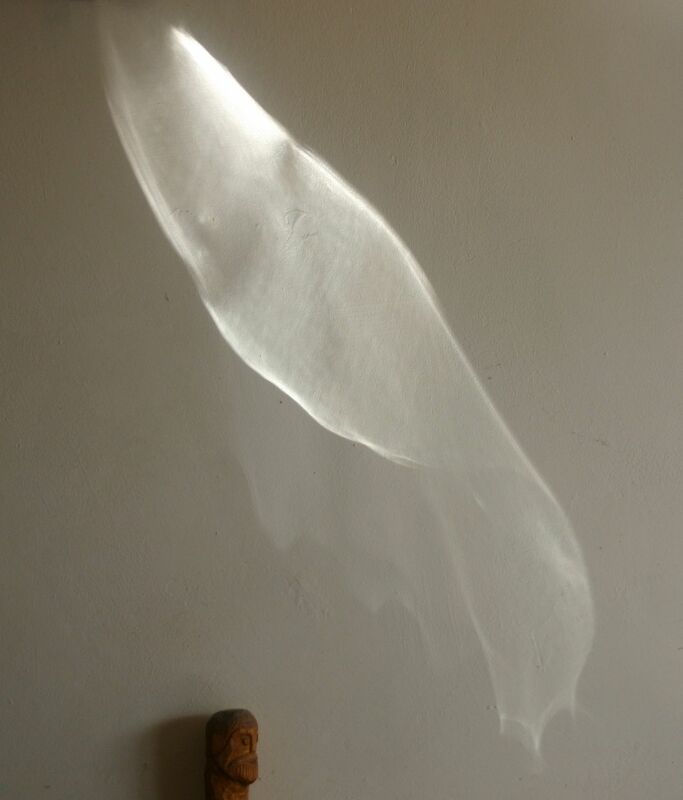 ), between 3 and 4 in the afternoon, the sunlight is refracted in a window in front of me, painting a very slowly moving pattern on the wall beside me. As a graphic, it looks almost organic as it’s fading like breathing when small, light clouds pass the sun. The pattern moves, ever so slowly, along the wall and then suddenly disappears when the optical alignment is beyond whatever special condition that was there for a while disappears. More observations of light can be found here.